International Events. Teams compete in scrambled One Day and Nations Cup Showjumping Events. The Interpacific Rally is held bi-annually and is contested between Australia, New Zealand, Hong Kong, Japan, United States and Canada. Members 17 and under 21 years as of the 1st January in the year of the competition are eligible for selection to attend. Teams compete in a scrambled One Day Event and a Nations Cup Showjumping Event. The International Mounted Games Exchange is held annually between Australia, Canada, Great Britain and the United States America. Riders must be under 16 years of age on 1st January in the year of competition. The International Pony Club Quiz is a trivia competition testing Pony Club member knowledge on general horsemanship, horses and riding (can include pieces of tack or equipment, from any discipline, farrier's tools, veterinary utensils, bits, feed, etc). The International Quiz is held by a host Pony Club country, Pony Club Australia will send a team of 4 - aged 16-24 years. Team members must hold at least a C certificate and will be selected based on achievement in a selection test. The written selection test will be sent to a shortlist of 10-15 applicants. 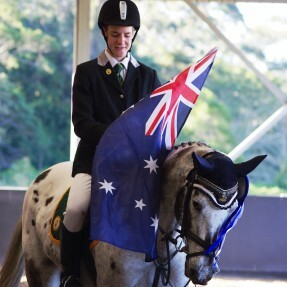 Inter- Pacific Championships will be held in Hong Kong 30th June - 13th July 2019 and include dressage and showjumping rounds, NSW is a reserve state only for 2019 however EOI will be circulated for reserve riders who must have their B certificate and can be aged up to and including 25 years at 1/1/19. 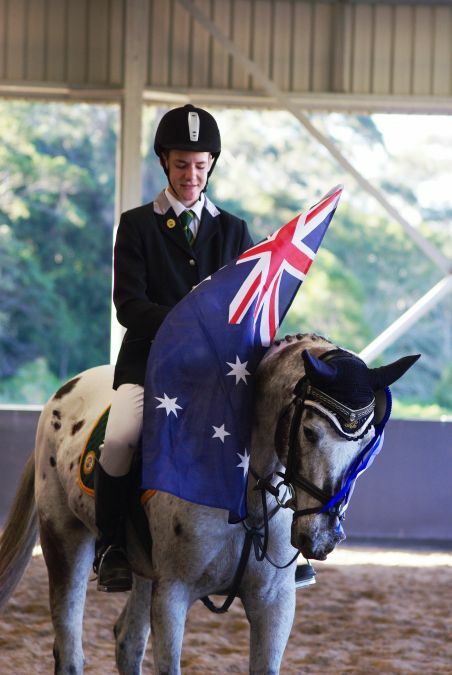 International Mounted Games will be held in Colorado USA 25 July - 9 August 2019 NSW will have rider selections from the State Mounted Games Squad at State Camp, nomination forms will be sent to squad members directly. Tri-Nations Cup Showjumping will be held at the 2019 Nationals Championships the Australian team of 4 for the 2019 event will be B Certificate riders and nominations will be called for by Pony Club Australia in early 2019. China - PCA is welcoming a visit from China Pony Club riders for the Australia - China Youth Challenge in January 2019 to be hosted and held in Melbourne. Travel plans for visits to China are still to be determined however PCA expect to receive an invitation to send groups of riders as per 2018. PCA is seeking experienced coaches interested in visiting China in a variety of roles including coaching riders based at a single centre for 3 months, coach instruction and assessment at a range of centres over 3-4 weeks, please contact Dr Catherine Ainsworth on ceo@ponyclubaustralia.com.au or follow the Pony Club Australia Facebook page for more information. Some parents might elect to travel at the same time as the team. Parents are not part of the tour group and must not interfere with their child’s participation, or the authority of the team Coach and Manager. It is a big responsibility and privilege to accompany a PCA team. Responsibilities commence from the date of your appointment and conclude some time after your return. The Coach and Manager roles are awarded to Pony Club members with the requisite experience, personal attributes and skills. PCA is committed to selection based on merit, and to succession planning in these national leadership roles. A person cannot fulfil an international team role more than 3 times. Applications from across Australia are encouraged. The direct costs of your travel (airfare from closest capital city, tour costs, uniform, insurance) will be covered. The Coach or Manager cannot be related to a team member (e.g. parent, step-parent, guardian, sibling).